Croome Court is a National Trust property not far from Worcester, and one I particularly enjoy visiting because of the variety of things to see there, including the Neo-Palladian house, designed by Capability Brown and visited by several monarchs (and once occupied by Hare Krishnas, surprisingly). The grounds are beautiful and extensive (also designed by Brown) and including follies and a grotto (I do like a nice grotto, though this one lacks a hermit, sadly). The site was used as a secret airbase (RAF Defford) during the Second World War, and the buildings that remain from this period in its history are now the visitors’ centre and canteen. He goe s on to say that ‘Adam’s interior is pure Georgian Gothic’, though one does wonder how much he approves given that he talks about the ‘monuments choking it within’ as well as the unusually long chancel. 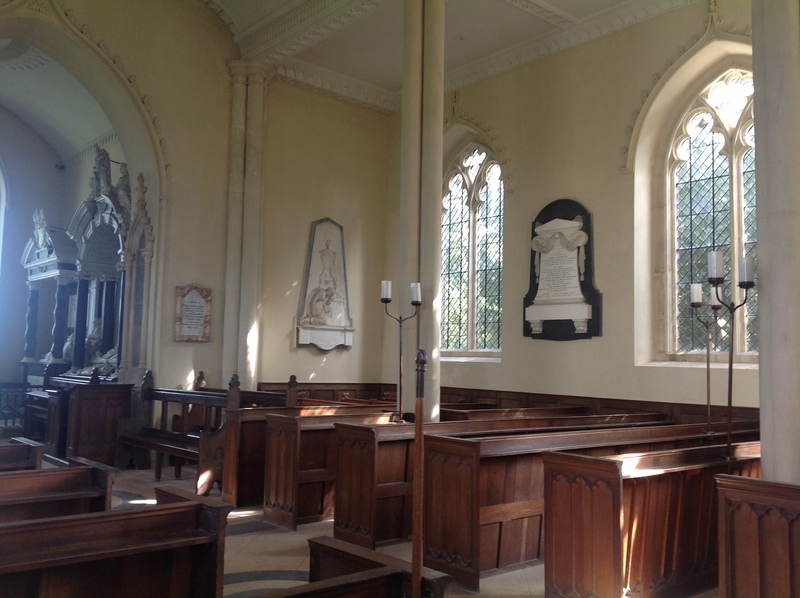 There are, indeed, many monuments; in fact, they are the reason the chancel is long, because the family monuments from the previous, demolished church are there alongside other, more recent ones, and the effect is of a mausoleum in the best possible (if slightly cramped) taste. The monuments tend towards the sculptural, reminding visitors of the money and pomp which underpinned the building of this elegant church. 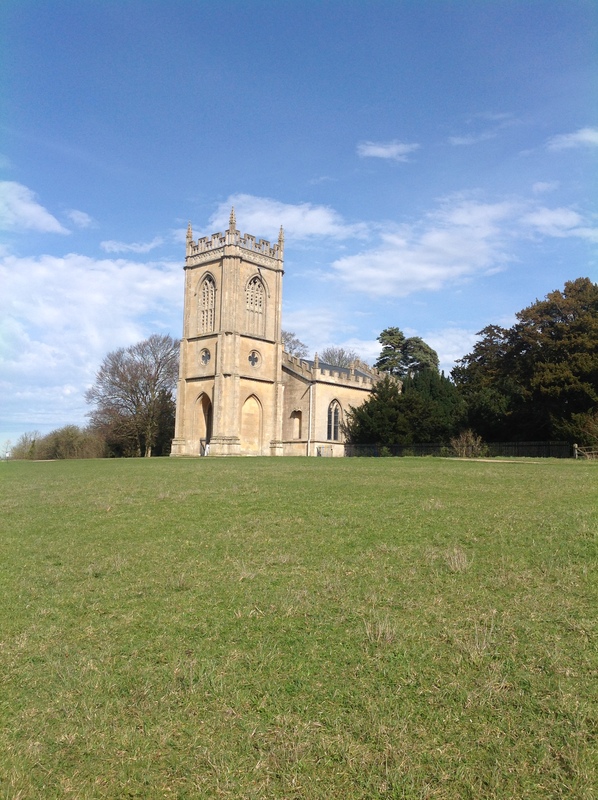 It is impressive, and of its time in a historically and culturally fascinating way, but one suspects it had less to do with glorifying God than with elevating the Earls of Coventry, the residents of Croome Court, for whom, as Pevsner suggests, it was mainly an ‘eye-catcher’ for their landscape.